You can have the best blog on the Internet, but no one would read it unless your readers know about it. And they will not know unless it is visible, shared and spoken. Use the power of social media to create a buzz and let your readers spread the message. The scope is epic – both in a volume of readers and in geography. Use different types of content and social media platforms for extended reach. Shared content on social media works on a snowball effect principle – once a person interacts, it will trigger a whole chain of interactions. Always use visuals for your social media updates – heavy text updates are more likely to be ignored. People also tend to form an opinion about what they see before reading, so it is essential to keep your reader’s attention. To maximize the benefits of social networks, make your blog easy to share via social media buttons. With search engines constantly looking for ways to improve the visibility of content, you need to keep an eye on new trends and tactics. Increasingly, with search engines tailoring their communication styles closer to the way we search for content, keywords are replaced with phrases and questions. Use long-tail keywords such as “how to write a blog” rather than simply “blog”. 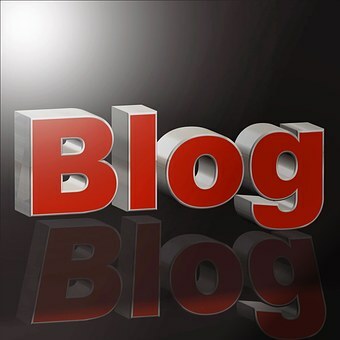 The volume of these is lower, but since they are more specific, it is likely that they will be more relevant to those who will find your blog. Look at your Google Analytics statistics to see what works and what to change – watching the highest and lowest bounce rates is a great place to start. The data is objective and will help you to make improvements according to reality. If you are unsure of the appropriate keywords, try Google Keener Planner for some tips. Make sure to use the relevant text in your URLs, meta-tags, and image ALT tags. All of these elements make your content more accessible. Give your readers the opportunity to subscribe to your blog. Advertise blog subscriptions and send specific emails that are related to a segmented audience. Of course, this is subject to a sufficiently large database of subscribers and content. Where appropriate, these recipients are likely to share what they read with their peers whose interests are close. Easy to share and direct your readers where you want them to be. There is nothing more powerful in the world of marketing than word of mouth. People talk and people are faster and wider, the message spreads. Involve your friends and peers in writing blogs. Or write them together. The authors naturally rely on and talk about their contribution to their networks. This will trigger more and more interest – and everything is back to the principle of the snowball.